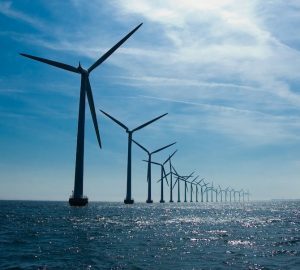 The SCC approved a 12 MW, $300 million offshore wind demonstration project proposed by Dominion, which will be constructed 27 miles off the coast of Virginia Beach. While finding the project to be prudent, the SCC’s Final Order strongly suggests that the application would have been rejected absent legislation deeming such projects to be “in the public interest” as a matter of law. The Commission also approved Dominion’s request to purchase 80 MW of solar energy via a power purchase agreement (“PPA”) with a non-utility company, Cypress Creek Renewables. The Commission noted that, unlike the offshore wind project, Dominion customers would be protected from financial and performance risks of the project since the utility is purchasing the energy from private developers. 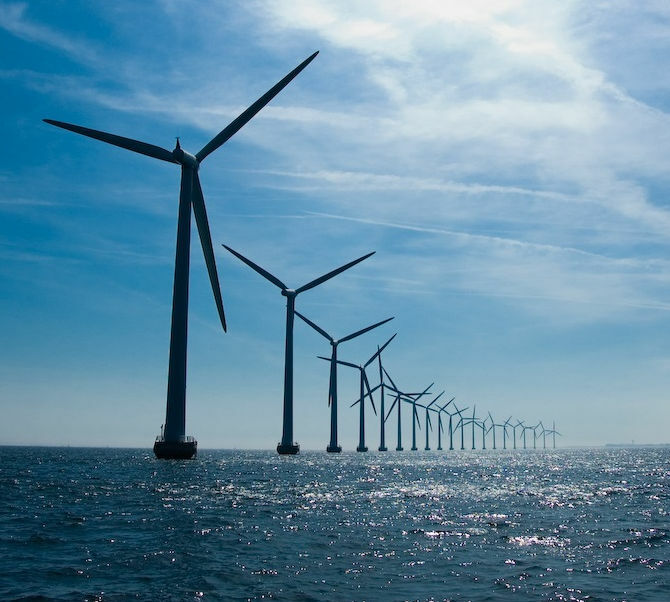 The Final Order in the offshore wind matter (Case No. PUR-2018-00121) is available here and the Final Order in the solar PPA matter (Case No. PUR-2018-00135) is available here. Please contact one of our energy regulatory attorneys if you have questions about either of these cases. On July 24, 2018, Dominion Energy Virginia (“Dominion”) filed a Grid Transformation Plan with the Virginia State Corporation Commission (“Commission” or “SCC”). The SCC has entered a procedural schedule for this case and set an evidentiary hearing for November 15, 2018. Dominion’s grid plan proposes to invest approximately $816 million in projects designed “to enhance the reliability, resiliency and security of the electric distribution grid.” Dominion also states that the plan will “facilitate the integration of distributed energy resources, such as solar or battery storage, into the system.” Dominion proposes to make the $816 million in investments over a three-year period, between 2019 and 2021. 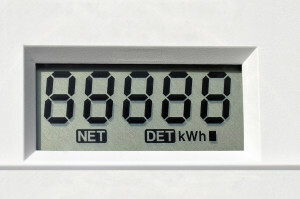 In particular, the utility wants to install approximately 1.4 million smart meters throughout its service territory between 2019 and 2021. There is more about the request here. The filing also outlines the utility’s longer-term grid transformation priorities. Over 10 years, Dominion proposes to invest over $3.1 billion in grid transformation investments. These investments would include additional smart meters and other “advanced metering infrastructure” as well as reliability improvements and “grid hardening” projects. Dominion’s plan includes proposals to replace certain aging distribution facilities and increase the company’s physical and cyber security capabilities. The application is filed pursuant to recently enacted legislation, Senate Bill 966, passed by the General Assembly and signed by Governor Northam earlier this year. Dominion’s petition requests the SCC to find that the plan is “reasonable and prudent.” The legislation provides that “grid transformation projects” are “in the public interest.” However, the law does not require the Commission to approve any of the proposed investments. Dominion does not request cost recovery in its filing or explain whether the spending plan would result in rate increases for customers. This case has been docketed as Case Number PUR-2018-00100. Interested parties have until September 11, 2018, to intervene in this case. If you want to know more about how this filing may affect energy markets in Virginia or have a legal issue in the energy field, please contact any of our renewable energy lawyers. Both utilities are now appealing the decision to the Virginia Supreme Court. Dominion filed a notice of appeal with the SCC on March 21, while APCo filed its notice on March 15. The utilities have not yet filed their assignments of error (i.e., their grounds for appealing the decision). We’ll keep you updated on the status of this important case. If you want to talk about this case, the SCC’s role, or energy law and regulation, just call any of our energy lawyers. 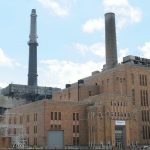 On Thursday, November 16, the Virginia State Air Pollution Control Board unanimously approved a draft rule designed to reduce carbon emissions from fossil generating facilities operating in the Commonwealth. The highly complex regulation, if implemented, would require Virginia generating facilities to participate in the Regional Greenhouse Gas Initiative (“RGGI”) trading system. The regulation will be administered by the Air Board and the Virginia Department of Environmental Quality (“DEQ”). Following the publication of the rule, which is expected to occur in December or early January, 2018, there is a 60-day period in which the public and interested parties may provide comment on the rule. Following this public comment period, the Air Board would vote on the final rule in 2018. The proposed rule would establish an initial statewide carbon cap of either 33 or 34 million tons, which represents the amount of carbon dioxide forecasted to be emitted in the Commonwealth in 2020. The carbon rule does not require generators to purchase emissions allowances from the Commonwealth in an auction, thus avoiding a state requirement that all revenue-raising measures must be approved by the General Assembly. Instead, generators will be freely allocated allowances, which they will thereafter consign to the RGGI auction. Allowances purchased at the RGGI auction would no longer be conditional – meaning that generators will surrender these RGGI allowances to DEQ in order to cover their emissions. For each conditional allowance consigned to the auction, the generator will receive the clearing price of the auction. This allows generators to consign all of their conditional allowances but only purchase what they need. Under the rule, therefore, utilities and other power plant operators would have an incentive to reduce emissions to avoid having to purchase additional allowances. Any unneeded emissions allowances must be sold in the RGGI trading system, with the proceeds credited to Virginia utility customers. However, the rule does not specify precisely how such proceeds would flow back to consumers. The regulation would only apply to generation facilities that are 25 MW or larger in capacity. There are approximately 32 such facilities in Virginia that will be subject to the rule. Between 2020 and 2030, the statewide carbon cap would be reduced by 3 percent each year, meaning that generating facilities would either need to reduce emissions or purchase additional emissions allowances. The draft regulation represents the first time Virginia has attempted to regulate the amount of carbon that may be emitted by existing power plants. DEQ has regulated carbon emissions from new power plants since 2011. Virginia’s regulation will take the place of the federal Clean Power Plan, which is in the process of being repealed by the Environmental Protection Agency. Please contact one of our regulatory attorneys should you have questions about this draft rule. On September 14, 2017, the Virginia State Corporation Commission entered a final order rejecting a renewable energy tariff proposal (“Green Tariff”) filed by Appalachian Power Company, finding that the tariff rates were not just and reasonable. APCo’s Green Tariff was intended to offer customers the option to purchase 100% renewable energy instead of energy produced from coal and gas-fired facilities. Given the structure of APCo’s proposal, the Commission’s decision represents a major victory for renewable energy developers, environmental advocates, and clean energy suppliers in Virginia. APCo’s application requested permission to offer a voluntary, 100% renewable tariff to its customers. But APCo proposed to simply repackage generation it was already purchasing via four power purchase agreements (“PPAs”), and then reallocate that energy to participating customers. Customers would have paid 18% more than their standard rates to participate in the program. The so-called Green Tariff, if approved, would have represented the first time a Virginia utility offered a 100% renewable tariff option for its customers. But, if approved, the tariff would have also largely foreclosed competition for renewable energy and prevented customers from purchasing generation from competitive suppliers. Under current law, most customers are allowed to purchase renewable generation from third-parties only if their incumbent electric utility does not have an approved tariff for 100% renewable energy. See Va. Code Section 56-577(A)(5). GreeneHurlocker represented the Maryland-DC-Virginia Solar Energy Industries Association (“MDV-SEIA”) in the case. MDV-SEIA argued that APCo’s proposal was not in the public interest and should be rejected for several reasons. For example, the per-MWh price of the Green Tariff was unreasonably high and not reflective of current prices for renewable energy. MDV-SEIA also noted that the Green Tariff did not contain any solar generation or any Virginia-based renewable resources of any kind. The Commission agreed with MDV-SEIA, finding that “[APCo] has not established that the rate proposed under [the Green Tariff] is just and reasonable,” The Commission also cited MDV-SEIA’s arguments that the Green Tariff price “is much higher than prevailing prices for renewable energy.” But the Commission noted that APCo is not precluded from applying for approval of a redesigned renewable energy tariff. APCo is permitted to appeal the decision to the Supreme Court of Virginia by filing a notice of appeal at the Commission on or before October 16, 2017. The Commission is also currently considering a similar renewable tariff application filed by Dominion Energy Virginia (“Dominion”) in Case No. PUR-2017-00060. If approved, Dominion’s tariff would severely limit clean energy choices for its large customers and potentially other classes of customers in the future. Please contact one of our renewable energy lawyers or regulatory attorneys should you have questions about this case. The Commission case number for the APCo matter is PUE-2016-00051, while Dominion’s proposal is currently being considered in PUR-2017-00060. On Wednesday, June 21, a Virginia State Corporation Commission (“Commission”) Hearing Examiner issued a report recommending denial of a renewable energy tariff (“Green Tariff”) filed by Appalachian Power Company (“APCo”). If accepted by the full Commission, the Hearing Examiner’s findings would be a victory for renewable energy developers and competitive energy suppliers operating in Virginia. APCo’s application requested permission to offer a voluntary 100% renewable tariff to its customers. APCo proposed to repackage generation it was already purchasing via four power purchase agreements (“PPAs”), and then reallocate that energy to participating customers. Customers would pay an 18% premium in order to participate in the program. The so-called Green Tariff would represent the first time a Virginia utility offered a 100% renewable tariff option for its customers. 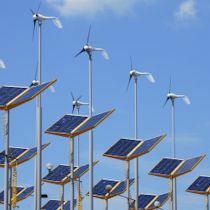 But, if approved, the tariff would also largely foreclose competition for renewable energy in Virginia and prevent customers from purchasing generation from competitive suppliers. Under current law, most customers are allowed to purchase renewable energy from third-parties only if their incumbent electric utility does not have an approved tariff for 100% renewable energy. See Va. Code Section 56-577(A)(5). 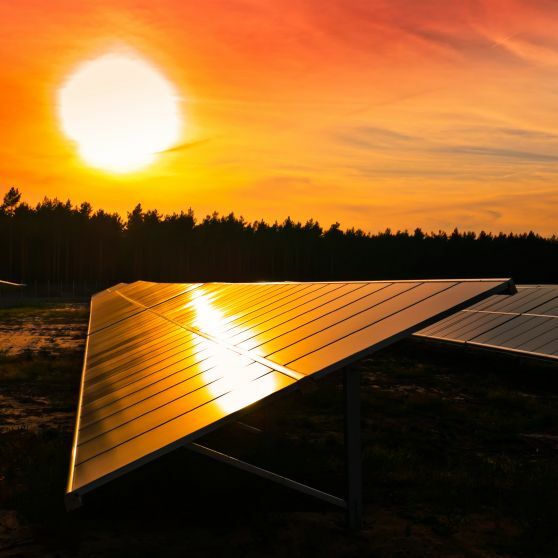 Environmental and renewable energy advocates, including our client, the Maryland-DC-Virginia Solar Energy Industries Association (“MDV-SEIA”), opposed APCo’s proposed Green Tariff. MDV-SEIA argued that the proposal is not in the public interest and should be rejected for several reasons. First, the per-MWh price of the Green Tariff is unreasonably high and not reflective of current prices for renewable energy. MDV-SEIA also noted that the Green Tariff does not contain any solar generation or any Virginia-based renewable resources of any kind. The four PPAs that form the basis of the Green Tariff represent wind and hydrologic energy located in Indiana and West Virginia. Moreover, the Green Tariff would not encourage the development of any new resources; all of the Green Tariff’s out-of-state facilities were placed into service between 7 and 15 years ago. The Hearing Examiner largely agreed with the arguments raised by MDV-SEIA, finding that the “per MWh cost of the [proposed tariff] is significantly higher than the average cost for new wind power in the PJM region” and that the tariff rate would be “18% higher than APCo’s standard rate for service.” The Hearing Examiner also cited data, obtained by MDV-SEIA through a motion to compel, indicating that the Green Tariff price was significantly higher than other renewable energy recently added to APCo’s portfolio. Finally, the Examiner noted that the Green Tariff “has the potential to suppress or even curtail customer access to 100 percent renewable energy by precluding sales by [competitive renewable energy suppliers] while at the same time offering an incumbent utility alternative that is simply too costly for customers to bear.” The Hearing Examiner determined that the Green Tariff, if approved, would not support the clean energy objectives of the Commonwealth’s Energy Policy, found in Title 67 of the Code of Virginia. The Hearing Examiner’s report and recommendation now goes to the full Commission, which can approve or reject it. The Commission is also currently considering a similar renewable tariff application filed by Dominion Energy Virginia (“Dominion”) in Case No. PUR-2017-00060. If approved, Dominion’s tariff would also severely limit energy choices for most of its customers. Please contact one of our renewable energy lawyers or regulatory attorneys should you have questions about this case. The Commission case number for this matter is PUE-2016-00051. On April 28, 2016, Appalachian Power Company filed an application with the Virginia State Corporation Commission asking for approval of a voluntary tariff that the Company says would allow customers to purchase “electric energy provided 100 percent from renewable energy.” APCo’s application requests approval to implement a voluntary program that would allow customers to pay a special rate to ensure that their energy needs can be met “from energy generated exclusively from renewable resources.” APCo does not currently have a tariff offering that provides energy generated exclusively from renewable energy sources. APCo’s proposal would reallocate to participating customers the renewable energy produced by several of APCo’s current generation suppliers. APCo proposes to “assign to [participating customers] the output of its renewable generators that are currently under long-term Purchased Power Agreements” with the Company. The facilities, consisting of four wind farms in Illinois and Indiana and one hydroelectric generating facility in West Virginia, have a combined nameplate capacity of 423 MW. Customers that choose to participate in APCo’s renewable tariff would in effect be paying a special rate to purchase renewable energy that all APCo customers are already purchasing, from generation facilities that are already embedded in APCo’s current portfolio. Participating customers, however, would no longer pay the base rate and fuel charges associated with APCo’s non-renewable generating plants. APCo’s filing could also affect customers’ ability to purchase renewable energy from third-party sellers. Currently, APCo’s customers are permitted to purchase 100% renewable energy from third-parties pursuant to Section 56-577 A 5 of the Code of Virginia. But this code section allows customers to purchase renewable energy from non-utility sellers only if APCo does not offer a Commission-approved tariff consisting of 100% renewable energy. If APCo’s tariff is approved and considered by the SCC to be a true renewable energy offering, customers may lose the right to purchase renewable energy from third-party, non-utility companies. The SCC has scheduled a formal hearing to be held in Richmond on November 15, 2016. At the hearing, the SCC will consider testimony and comments from interested parties to determine whether the program is in the public interest and should be approved. Any interested party may intervene in the case by filing a notice of participation by July 21. The case is docketed as SCC Case No. PUE-2016-00051. If you have questions or concerns about the proposal, the SCC or renewable energy regulation in Virginia, please contact one of our Virginia energy lawyers.